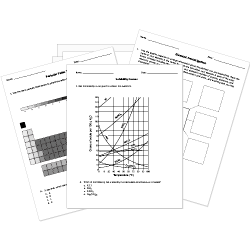 You can create printable tests and worksheets from these Grade 6 Atomic Structure questions! Select one or more questions using the checkboxes above each question. Then click the add selected questions to a test button before moving to another page. Positively-charged particles are called . A(n) is the smallest part of matter. What particle is found in the nucleus and has no charge? An atom has two distinct regions: the and the . Select all that are parts of an atom. The number of protons in a neutral atom is equal to the number of . The smallest particle of matter is called a/an . are particles with no charge. The nucleus is often found near the center of an atom. Atoms are made up of three parts: neutrons, electrons, and . A(n) has no electrical charge. A negatively-charged particle moving around the nucleus of an atom is a(n) . We can use a very high-powered microscope to see atoms. An electron has a charge. A(n) has a negative charge. What are the smallest particles of any substance?